Having been sent out on season-long loans twice during his final three years as an Arsenal FC player, Nicklas Bendtner is hoping to reignite his career at UEFA Europa League qualifiers VfL Wolfsburg. The Denmark international spent the 2011/12 and 2012/13 campaigns at Sunderland AFC and Juventus respectively, but rarely featured for Arsene Wenger’s side upon his return to North London, prompting a move to the Lower Saxony outfit. Bendtner's talent as a footballer was spotted by FC Kjøbenhavns’ feeder club, Kjøbenhavns Boldklub, while he was playing for Danish minnows Tarnby as a ten-year-old. After joining KB in 1998, it wasn’t long before the Copenhagen-born striker was attracting the interest of some of Europe’s biggest clubs. His performances for Denmark’s youth sides also caught the eye, and after scoring four goals in his first six youth international appearances, he was snapped up by Arsenal in September 2004. Despite impressing for the Gunners’ reserve side, the 1.93-metre frontman had to wait over a year to make his first-team debut for club, coming on in the final minutes of their League Cup tie against future employers Sunderland in October 2005. Two more Cup appearances followed, but at the beginning of the 2006/07 campaign, Bendtner was loaned to second-tier outfit Birmingham City FC to gain first-team experience. After notching eleven goals in 42 appearances for the Blues, Bendtner was awarded a five-year contract by Wenger on his return to London. He soon began to repay the faith shown in him by the Frenchman, scoring his first goal for Arsenal in a League Cup match at Newcastle United FC. He went on to net 24 goals in 90 outings for the Gunners over the course of the following two seasons, but a troublesome groin injury and a lack of form restricted his first-team opportunities during the 2009/10 and 2010/11 campaigns. A loan move to Sunderland in 2009 appeared to give Bendtner a new lease of life. Named in the Black Cats’ starting line-up on 25 occasions, he bagged eight goals in 29 Premier League appearances as the North East side finished the season in 13th place. However, the arrivals of Lukas Podolski and Olivier Giroud at the Emirates Stadium did little to enhance his chances of first-team football at Arsenal, and the Dane was sent out on loan for the second successive season, this time to Serie A giants Juventus. A fresh groin injury forced him to miss the final five months of his stint in Italy, and Bendtner returned to Arsenal without having found the net for the Turin club. In March 2014, he announced he would leave the Gunners for good when his contract expired at the end of the 2013/14 campaign. He signed a three-year contract with Wolfsburg, who had finished fifth in the Bundesliga the previous season, in August 2014. 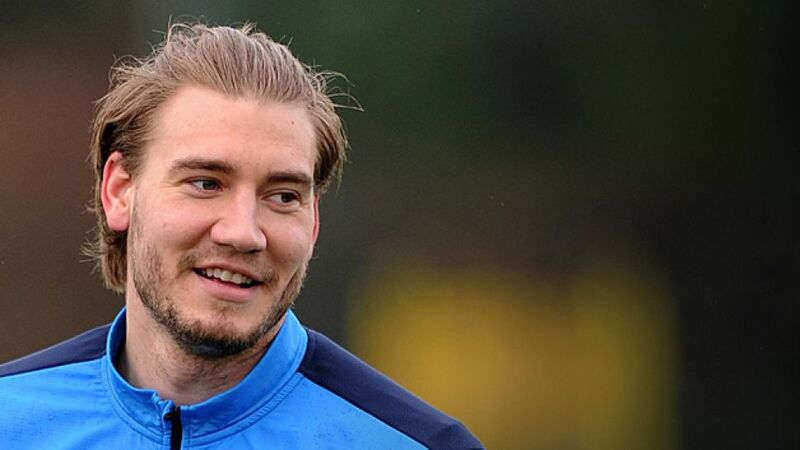 Despite his troubles at club level, Bendtner has won 58 caps for Denmark since making his full international debut in 2006. Voted Denmark's Player of the Year in 2010, he was named in Morten Olsen’s squad for the 2010 World Cup in South Africa and found the net in Denmark’s 2-1 group-stage win over Cameroon. He also scored twice in the Danish Dynamite’s UEFA Euro 2012 campaign, but failed to help his country qualify for the 2014 World Cup.